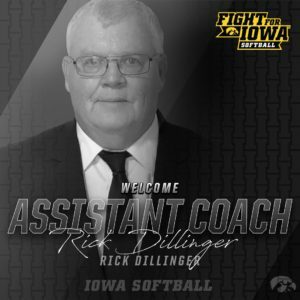 Dillinger made another considerable improvement this summer with the ADM softball team. After recording a tenure worst 19-17 record last summer, ADM made a 16-win improvement in 2018 with a 35-8 overall record. The noticeable improvement came despite graduating four seniors the previous summer and two upperclassmen returning to the Tigers squad. Dillinger joins the Iowa Women’s Softball program that posted a 21-32 overall record and won six of their 22 Big 10 Conference games this spring.